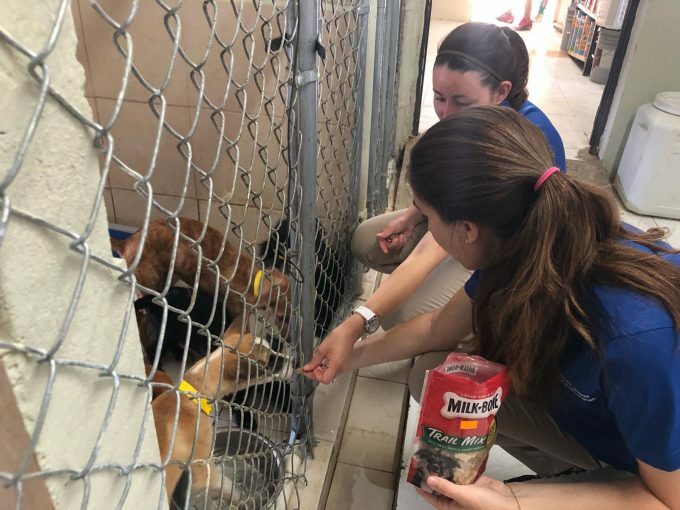 Why were shelter medicine intern Dr. Meaghan Mielo and three veterinary students working feverishly in the late morning heat to match shelter animal records with the abundance of animals housed at Villa Michelle, the largest animal shelter on Puerto Rico’s west coast? Mielo and the students, immersed in an intensive clerkship at the Maddie’s Shelter Medicine Program at the University of Florida, were on site in Mayaguez, Puerto Rico, to help Villa Michelle prepare for a significant event in the shelter’s history – a two-day adoptathon designed to place the hundreds of dogs and cats housed at the shelter into loving homes. Amid a crescendo of barks and meows comes the hum of focused conversation. “What about C-75?” asked fourth-year student Jenny Moreira. Another fourth-year student, Torri Cicchirillo, searched quickly through a thick binder of handwritten records. “Not matched,” she replied. 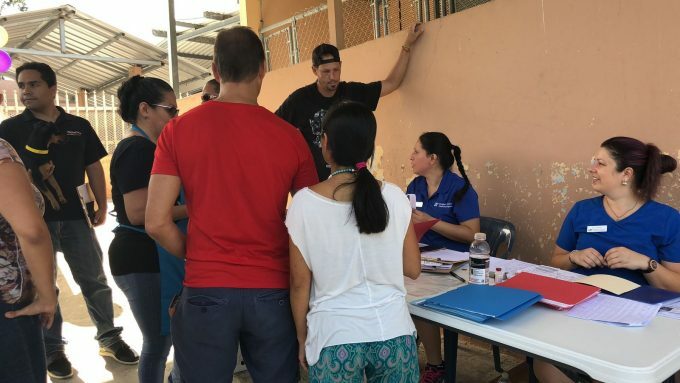 The lofty aspirations of the event come at a time when innovative shelter management could not be more important for Puerto Rico. The impact of Hurricanes Irma and Maria caused massive devastation on the island. Residents who lost entire homes and livelihoods because of the storms continue to deal with much more than simple displacement. Hundreds, if not thousands of animals were made homeless and helpless. Rebuilding has been slow and painful. Shelters like Villa Michelle, correspondingly, are overflowing. Dr. Julie Levy, the Fran Marino Endowed Professor in Shelter Medicine Education at the Maddie’s Shelter Medicine Program at UF and co-founder of the Million Cat Challenge, has been working with the Humane Society of the United States (HSUS) and corporate charities Petco Foundation and Petsmart Charities, as well as private philanthropists and foundations like Maddie’s Fund, for many months to facilitate a profound shift in Villa Michelle’s practices. While Villa Michelle has always supported adoption, spay and neuter, and compassion for homeless animals, a unique inertia has stifled their efforts. 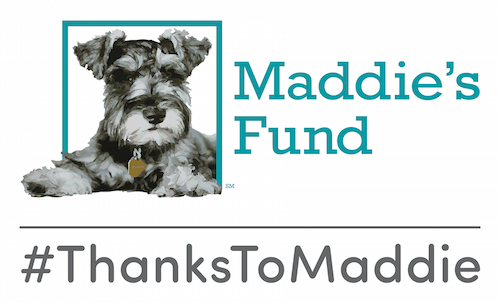 With so many animals to care for, how can there be time to implement best practices in shelter medicine and shelter management? Levy and a team of shelter medicine practitioners from UF that includes Dr. Cynda Crawford, the Maddie’s Clinical Assistant Professor of Shelter Medicine; Dr. Sarah Kirk, Adjunct Lecturer for the Maddie’s Shelter Medicine Program; Cameron Moore, program manager for the Million Cat Challenge; Moreira, Cicchirillo, and fellow student Laura Espinola; Dr. Jill Kirk, and Dr. Mielo, are joined at Villa Michelle by Inga Fricke, director of shelter initiatives and outreach for HSUS. 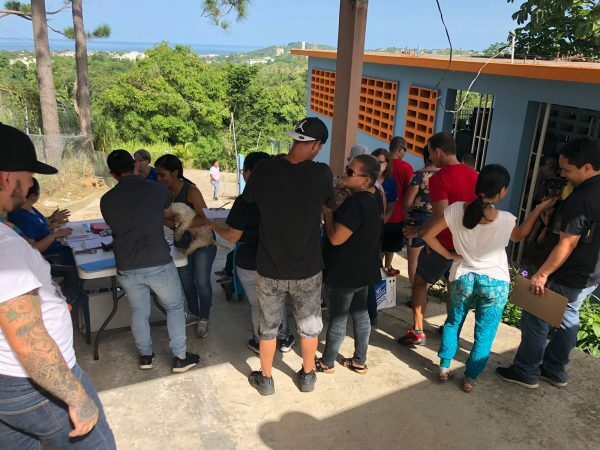 The determination of this small army to vaccinate, document, and implement appropriate record-keeping in time for the adoption event is powerful evidence of their commitment to success. 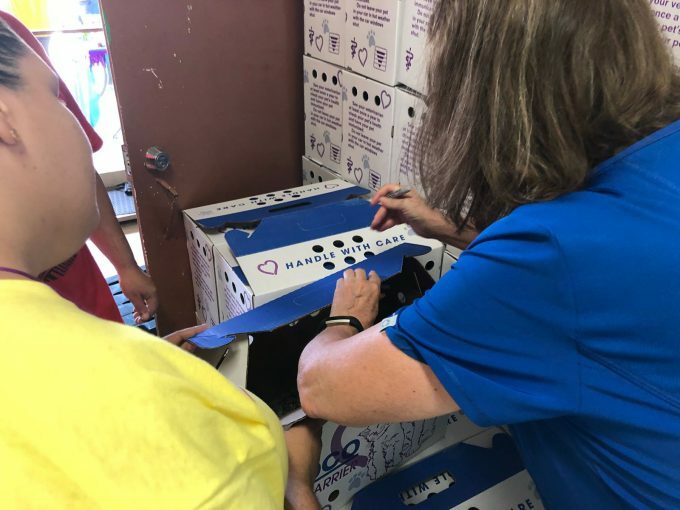 Fricke, along with Levy and the rest of the shelter medicine team, went well beyond record-keeping to bring Villa Michelle to readiness for the adoption event. Levy notes that they have been meeting long-distance with the shelter staff for months to encourage and cultivate the innovations needed to reduce euthanasia and foster consistent, successful adoptions. “It is so important – critical – that they can sustain the practices that reduce shelter intake, mitigate disease outbreaks, and motivate adoption,” she said. Change is never easy, but if the early traffic at Villa Michelle is any indication, the shelter may be entering a new era. “We are so hopeful for dozens, if not hundreds, of adoptions over the next two days,” said Fricke. Keep up with the UF shelter medicine team’s visit to Puerto Rico on our Facebook page, and by following #UFsheltermedPR.